Suffolk’s leading civil rights charity has secured £9100 in financial support from the National Lottery Awards for All fund to deliver a project which uses the power of storytelling to help young people reflect on their past and make better choices in the future. 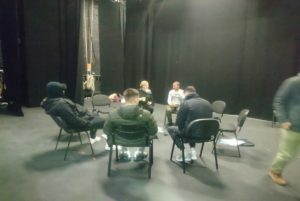 The Ipswich & Suffolk Council for Racial Equality (ISCRE) has teamed up with Black Theatre Live and Theatre Royal Bury St Edmunds to deliver a community focused initiative called Meta-More-Force (Metamorphose) aimed at changing the direction of young lives for the good. The award is based on ISCRE’s longstanding and successful work in two Suffolk prisons, Highpoint and Warren Hill, facilitating and delivering powerful interventions that develop trust and credibility with prisoners. 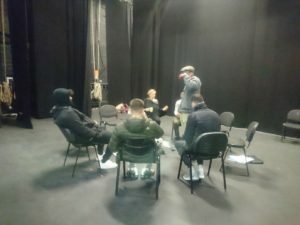 In March 2017, ISCRE ran narrative sharing workshops with prisoners at Highpoint, culminating in a performance in front of an audience of community organisations and prison staff. Participants reported a sense of pride in the chance to share their stories in a safe and supportive environment. In feedback from an event at Warren Hill prison in July last year, prisoners told said they wanted means to communicate their cultural and religious needs more clearly to prison staff. Force: Black Theatre Live will support prisoners to perform their stories for members of the community, service providers and prison staff. 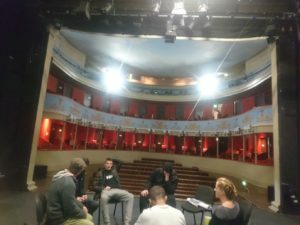 Performances will be digitally recorded and shared with an audience of young people who participated in workshops, members of the community, ex-offenders, Suffolk Police, Suffolk Youth Offending Service and other service providers at Theatre Royal Bury St Edmunds, followed by discussion, reflection and Q&A about the production. Meta-More-Force will focus on certain parts of Suffolk where there has been a recent upsurge in youth-related crime. This includes south west Ipswich where there has been a dramatic rise in violent and sexual crimes.